Yellow straw color. Attractive, fruity, creamy aromas and flavors of peach and apple custard, praline, and dried pineapple and mango with a silky, bright, dry-yet-fruity medium body and a smooth, delightful, medium-long finish that presents accents of lemon granita and pickled melon with silky, crunchy, fruit tannins and a suggestion of oak flavor. A silky, and attractive Italian white with a rich core of fruit and great balance. 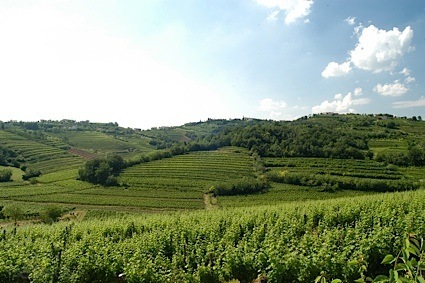 Bottom Line: A silky, and attractive Italian white with a rich core of fruit and great balance. 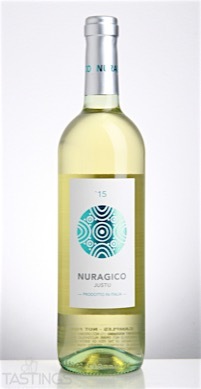 Nuragico 2015 "Justu", Vermentino, Sardegna DOC rating was calculated by tastings.com to be 91 points out of 100 on 10/10/2016. Please note that MSRP may have changed since the date of our review.